It may be very hard for parents to cope with the news that their child has cancer. According to the American Cancer Society, parents often feel emotions such as shock, disbelief, anger, fear, guilt and sadness. Criss Angel, famous magician and illusionist, recently had to cancel his new “Believe” magic show in Las Vegas due to his son’s recent cancer diagnosis. Johnny, his 2-year-old son, was diagnosed with leukemia. Angel recently announced on Twitter that his son has already started undergoing chemotherapy treatment. Shock: Parents also report feeling confused or being unable to hear, remember or think clearly when the doctor explains their child’s diagnosis or treatment plan. Know that the numbness you feel is normal. Seek comfort from family members, friends or a hospital’s social worker. Also, know that feelings of shock will pass with time. Disbelief and denial: When parents are first told their child has cancer, it might seem unbelievable. Their child may not seem sick enough, or look sick enough, to have such a serious disease. They may question whether the lab could have made a mistake or they may question the reputation of the staff or medical center. Don’t hesitate to get all your questions answered or getting a second opinion. Fear and anxiety: It’s normal to feel anxious and fearful when facing unfamiliar events and outcomes that can’t be controlled. Also, relying on someone else to protect your child can be difficult, especially when it’s normal for a parent to feel an obligation to protect their child. To help with the fear of intensive treatment, of an uncertain treatment and the unknown, you should openly discuss your fear with cancer treatment staff members, learn strategies to reduce anxiety, listen to how other patients and parents have coped, take as much control of everyday events and decisions, and accept that some things cannot be controlled and find strength in religious beliefs or spiritual practices. Guilt: Feelings of guilt often come up soon after parents accept that their child to have this life-threatening disease. Parents also voice guilt about not paying enough attention to their child’s symptoms. 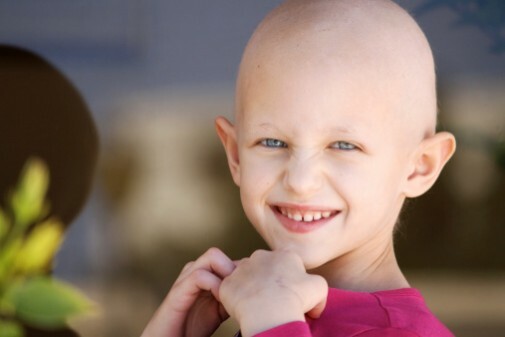 You can help the feelings of guilt by talking to the child’s cancer treatment team, talking with other parents of children with cancer, accepting that they may never know what caused their child’s cancer and realizing that finding a reason for something isn’t going to change the fact that it has happened. Sadness and depression: Of course parents feel sad when their child is diagnosed with cancer. Every parent has hopes and dreams that their children’s lives will be healthy, happy and carefree. Cancer and its treatment change that dream, but parents and families usually find a way to adjust to the changes in their lives. They usually find ways to maintain some quality of life for themselves, the rest of their family and their sick child during this time. Anger: The fact that cancer is threatening the life of an innocent child often makes parents angry at the cruel and random injustice of life. Parents can help deal with anger by accepting that anger is a normal part of this process; understanding the root of the anger in any situation; expressing anger in a healthy way; discussing angry feelings with medical experts; seeking physical release of tension (such as walking, exercising, or sports); finding private space to vent feelings by shouting, screaming, or crying; journaling and letting anger go; accepting that there may be no one to blame; and finding ways to use the energy to help themselves, their child and their family. Marie Mauter, a counselor at Advocate Good Shepherd Hospital in Barrington, Ill., agrees that news like this can impact the entire family. It’s also important to listen to your own health during this rough diagnosis. Mauter says taking care of yourself is just as important as you try to cope with the cancer journey that your child is going through. It’s essential to take time for self-care by exercising, eating well and getting enough sleep.